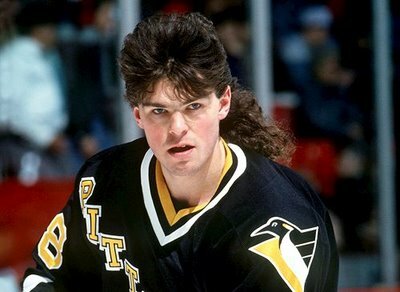 Jaromir Jagr, and hopefully his mullet, will make their long awaited return to the NHL next season. However, the team he will be helping make a run at the Stanley Cup is not who most thought would land the rights to the NHL legend. The Penguins and the rest of the NHL considered themselves the front-runners in the Jaromir Jagr sweepstakes. The Penguins, Montreal Canadiens, and Detroit Red Wings were the three teams that were known to be in talks with the star forward. When it came time to sign the paperwork the Penguins were left empty handed, with Jagr signing a one year $3.3 million contract with non other than division rival Philadelphia Flyers. Before the Penguins faithful could even fully comprehend the turn events that sent Jagr to their instate foes, they were dealt another punch in the gut. Learning that fan favorite Maxim Talbot had inked a 5 year $9 million dollar contract with the very same Flyers. Max Talbot said during an interview on TSN that, much like Jagr, his heart was in Pittsburgh. Well both his heart, himself, Jagr, and the Atlantic Division foes called the Philadelphia Flyers will all be in Pittsburgh on December 29th for the first meeting of the season between the two teams.